We’ve all seen the signs: the bluish bags under the eyes, a ghostlike complexion, slurred speech, and maybe even some drool. You need rest. Your brain and body need to recover. While the signs might not be as obvious, athletes and frequent visitors to the gym also need time for rest and recovery. While the symptoms of fatigued muscles might just appear as soreness — causing some people to push their workouts further — the body is signaling that it needs time to repair, rebuild, and reenergize. And if you ignore this simple request, the hard work you’ve put into your body will be for nothing. It sounds counterintuitive, but it’s simple. Strength gains and efficiency gains come from recovery periods, so your improvements won’t be as great if you work out each day, every week, for hours at a time. During exercise, the vital parts of your body are all undergoing some amount of stress. If you continually push your body, it will break down and won’t be able to recover as easily, resulting in sickness or even injuries. Understanding what’s going on inside your body will help you understand why you need those days away from the gym. As you go through repetitive motions when weight training or doing cardio workouts, your brain is controlling when you flex and extend each muscle. Each motion is tearing small muscles, causing you to expend heat and energy. Adenosine triphosphate (ATP), a way of storing and spending energy, breaks down to provide more energy for the body to use during physical activity. Oxygen is needed for muscle function and energy, and the heart has to work harder to replenish oxygen-depleted blood cells and deliver them throughout the body. Improving your cardiorespiratory functions through exercising enhances your body’s ability to distribute and consume oxygen. Your entire body is working together in a million small ways to send oxygen, energy, and nutrients to the muscles. If it sounds like you’re putting your body through the gauntlet during exercise, it’s because you are. It needs to recover in order to bounce back and be able to work harder next time, and there are two main types of recovery that will benefit your body. Short-term, or active, recovery occurs within a few days of a strenuous workout. Professional athletes and those in training also create long-term recovery plans. These help athletes peak at certain points in their training and take part in alternative sports that allow specific muscles to rest. 1. Time and Sleep: Your body needs time to rebuild its soft tissue, such as muscles, tendons, and ligaments. There are things you can do to decrease the amount of time it takes to recover — and also increase your comfort during that time. Using a foam roller or getting a massage can help release tension and lactic acid, which makes muscles feel sore. Taking time to recover can be frustrating, especially for competitive athletes, but the “more is better” mentality isn’t always what’s best for your body. Sleep is also healing for your body. Consistently getting inadequate sleep can result in subtle changes in hormone levels, increasing stress levels and depression. 2. Nutrition: Eating right provides the building blocks of life. 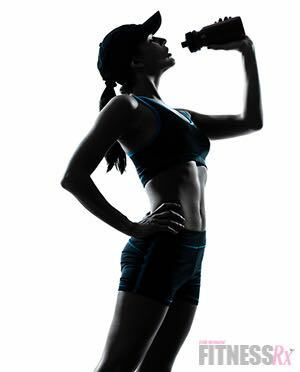 After a workout, your body needs water and protein. Water will cool down muscles and flush out toxins, while protein is full of amino acids that rebuild tired, broken-down muscles. Supplements such as whey protein, hyperimmune egg protein, or those consisting of glutamine also aid in the recovery process. Studies have shown that supplements reduce inflammation, and when taken during after a workout or between exercise periods, they can greatly maximize the healing process. 3. Workout Schedule: Planning your workouts strategically is key to your performance and recovery. If you plan them ahead of time, not only are you more likely to complete them, but you are also more likely to meet your exercise goals. For example, if you plan to run a 5K race, you don’t want to lift weights every day of the week prior. Plan several days of cardio training and lift weights on the opposite days to stay on track. Eat: Replace your glycogen stores with small amounts of carbohydrates at a time. Eating carbs in the morning and after working out can aid in recovery, and don’t forget to add protein to meals, too. Replace Fluids: Losing too much water during exercise negatively affects performance due to dehydration. Water is sufficient in itself to aid the body in short durations of exercise, but if you want to replenish electrolytes, try sports drinks or coconut water. Stretch: Warming muscles through stretching will improve their elasticity and can help avoid delayed-onset muscle soreness, which is a microtrauma to the muscles. It’s easy to get wrapped up in an exercise regimen that takes place each day of the week. But in order to prevent injury, improve your health, and ultimately see the results you want, you must have a recovery day. By eating correctly, drinking, stretching and resting, your days off can turn out to be just as efficient and rewarding as the days you spend at the gym. FX Marino is the President of IgY Nutrition. 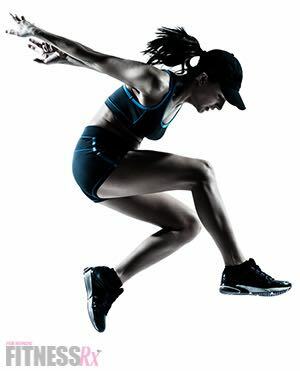 IgY Nutrition’s mission is to help athletes perform radically better and provide them with a safe, effective and legal way to compete at the highest level with IgY Recovery Proteins. As a former competitive athlete, FX enjoys being a weekend warrior and sharing his expertise on how athletes can recover faster. To learn more about IgY Nutrition and IgY Recovery Proteins, check out their website and Twitter.